BRABUS has been engaged in the development of innovative, functional and stylishly integrated business systems on wheels for more than three decades. 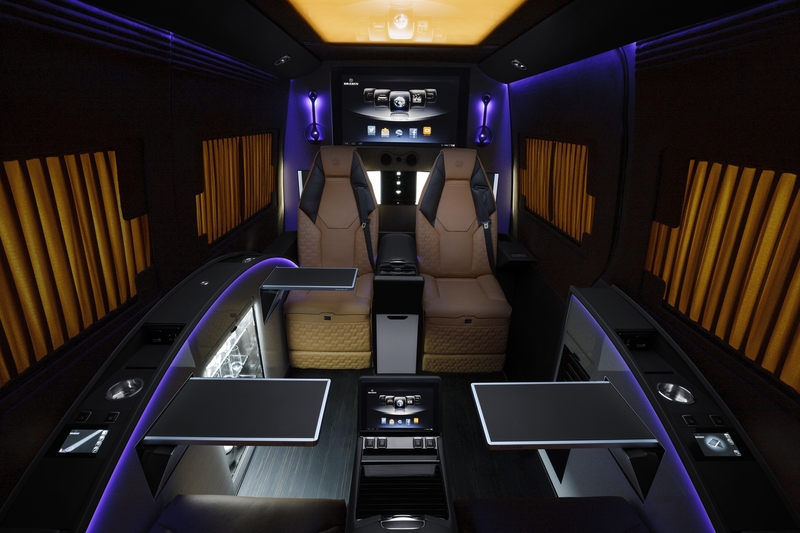 With the world premiere of the BRABUS Business Lounge based on the current Mercedes Sprinter at the Moscow International Automobile Salon, BRABUS (Brabus-Allee, D-46240 Bottrop, phone +49 / (0) 2041 / 777-0, fax +49 / (0) 2041 / 777 111, internet www.brabus.com) once again demonstrates its role as a pioneer in this field. The black van, which has also undergone an attractive exterior upgrade with a new front bumper and 18-inch Monoblock wheels with BRABUS design, impresses not only with its exclusively designed BRABUS fine leather passenger compartment with four business seats in a face-to-face conference seating arrangement and an additional third row of seats. The innovative communications concept of the vehicle integrates the passengers’ notebook or tablet computers into the media center of the vehicle independent of the technical platform. 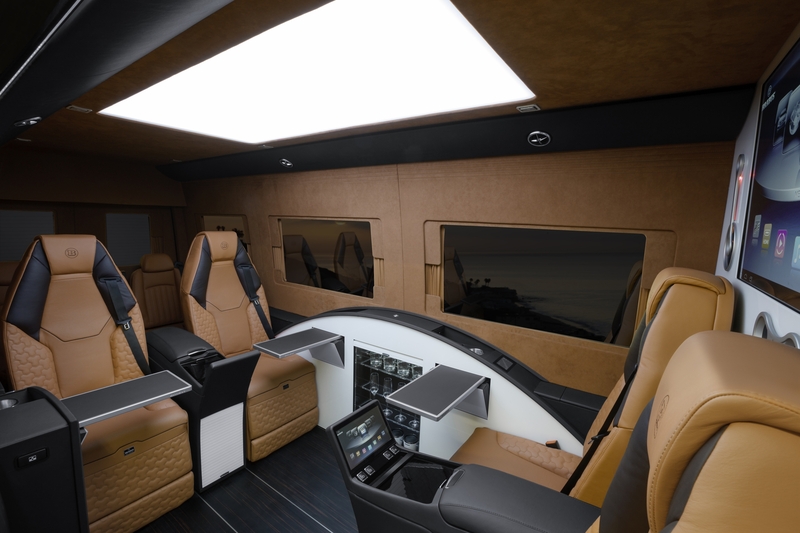 The basis for the exclusive BRABUS Business Lounge concept is the Mercedes Sprinter with long wheelbase and high roof. The BRABUS upholstery shop fits the van with an entirely new and particularly sophisticated interior. The eight-seater show car for the Moscow International Automobile Salon 2014 is equipped with a bulkhead behind the driver’s cabin. 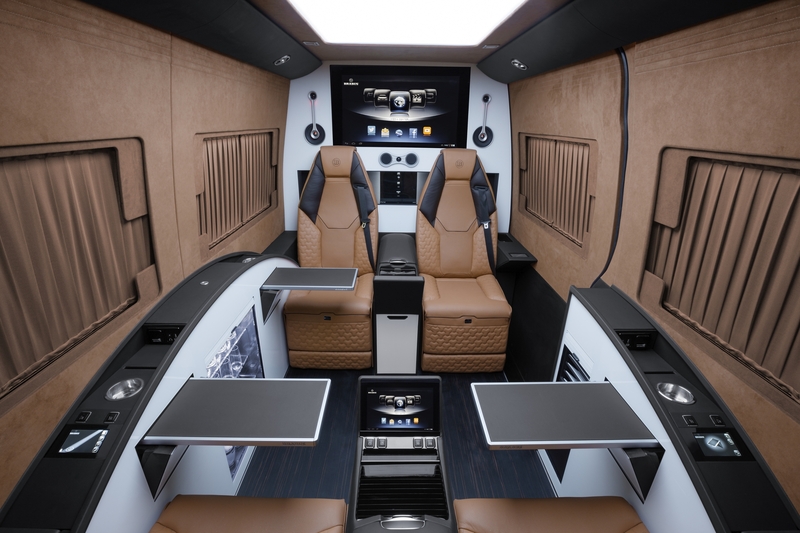 The interior designers have integrated four BRABUS business seats custom-developed for this vehicle into the passenger compartment that offers sufficient standing height even for tall passengers. The seats are installed in a face-to-face conference seating arrangement, offer maximum comfort, and can even be reclined to full sleeping position. In addition, all four seats offer welcome amenities such as lumbar support, massage function, heating, ventilation, and are power-adjustable with three-position memory function. The third row of seats faces forward and consists of two individual seats with folding backrest. For times when more space for luggage or other items is needed, the seats can be removed. Passengers make their way to these seats via the aisle between the seats in front of them. To this end, the center console can be slid back at the push of a button. The seats were covered in the company upholstery shop in the exclusive style of the BRABUS fine leather appointments with a stylish two-tone cognac and mocha combination of especially soft and breathable and yet durable Mastik leather. The sides of the seats sport a combination of Alcantara and high-gloss white surfaces. The genuine-wood floor is designed as a veneer without tongue and groove. For a perfect and draft-free feel-good atmosphere under all climatic conditions a special climate control system was developed for the spacious passenger compartment of the Sprinter in cooperation with German OEM Eberspächer. It has a heating output of 10 kW and a cooling output of 13 kW, and is discretely integrated into the Sprinter to make it visually and acoustically unobtrusive. The desired privacy is provided by dark-tinted glazing and eight power-operated curtains on the side and rear windows. A total of three power-retractable tables can be used for a variety of purposes. A refrigerator and a coffee maker, both located in a center console between the business seats, provide additional amenities. Eight USB 3.0 ports and three 220 volt outlets for powering the passengers’ notebooks, tablets and smartphones are located within easy reach. A total of six dimmable reading lights provide perfect lighting for perusing files, books or magazines on all seats. 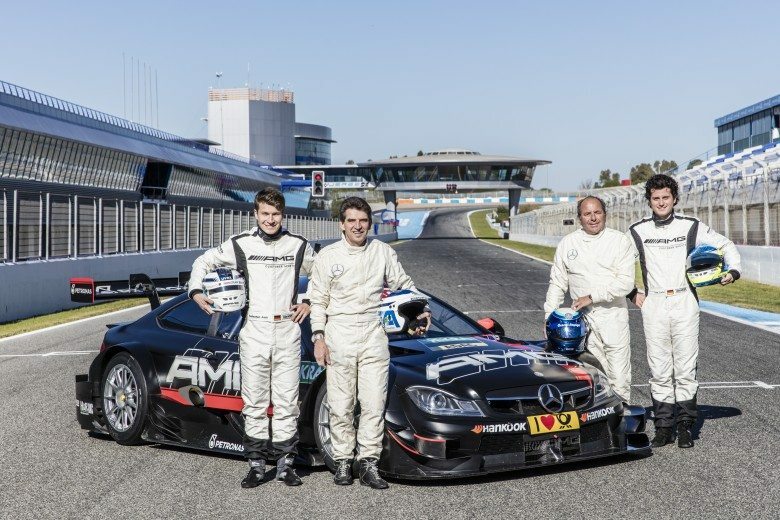 An evolution of the venerable starry sky creates a very special atmosphere: the BRABUS electronics specialists have integrated an LED display measuring 180 cm x 90 cm (71 x 35 in.) into the headliner. It consists of some 2,700 color LEDs capable of displaying 12 different animations ranging from an azure sky with moving puffy white clouds to a starry night sky, and from a magnificent fireworks show to oriental and psychedelic themes. Alternatively, an ambiance lighting concept with a multitude of settings and adjustment options ensures the well-being of the occupants. The entire electrical system of the BRABUS Business Lounge interior is controlled via CAN bus. 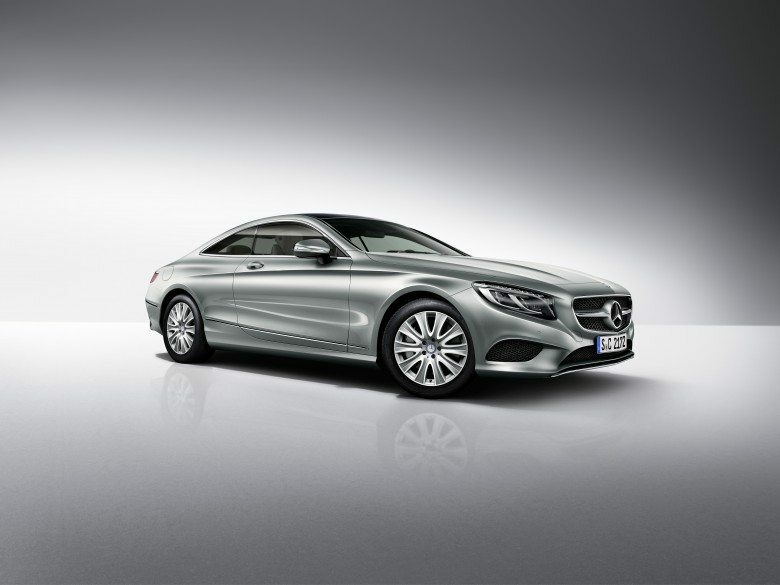 All commands are entered on newly developed “BRABUS Touch Control Panels” and forwarded to the particular components. 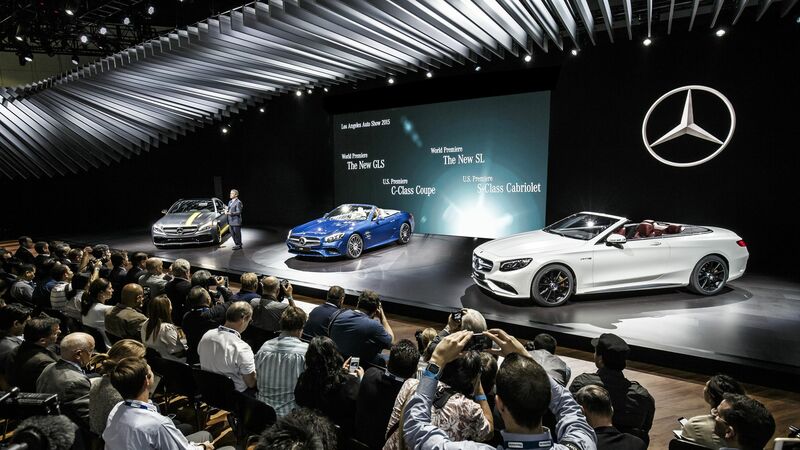 The five-inch touch displays are fitted at each seat in the cabin, eliminating the need for conventional switches in the passenger compartment. Consequently it doesn’t matter whether a passenger wants to use an Apple iPad, an Android cell phone or a Windows notebook while on board. 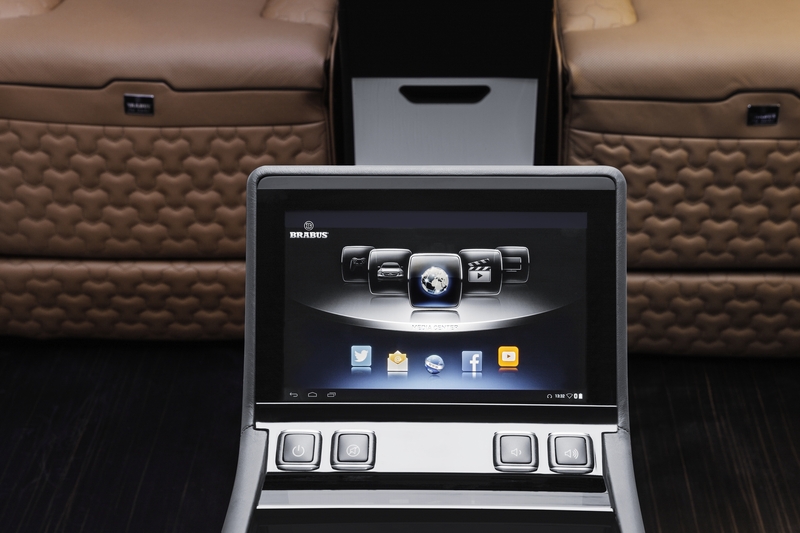 The BRABUS Media Center incorporates any of these devices and allows everyone on board to work in a relaxed atmosphere or enjoy exciting entertainment as they please. 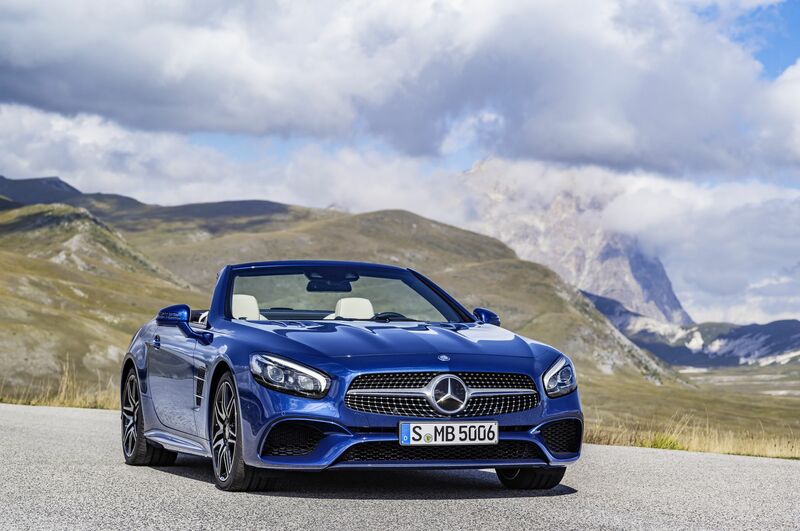 All a user needs to do is to touch the symbol of the appropriate operating system on the BRABUS Touch Control Panel and the device is wirelessly incorporated into the on-board network. After that all contents and programs are available via the powerful on-board computer and a wireless mouse and keyboard at each seat. The sound is reproduced with superb brilliance by a Dolby surround sound system with an output of 1,200 watts and loudspeakers tailored specifically to the van’s interior. The exterior of the BRABUS business van also stands out from the crowd. The designers have developed a new front bumper with sporty-dynamic design and integrated LED daytime running lights to give the Sprinter a striking facelift. 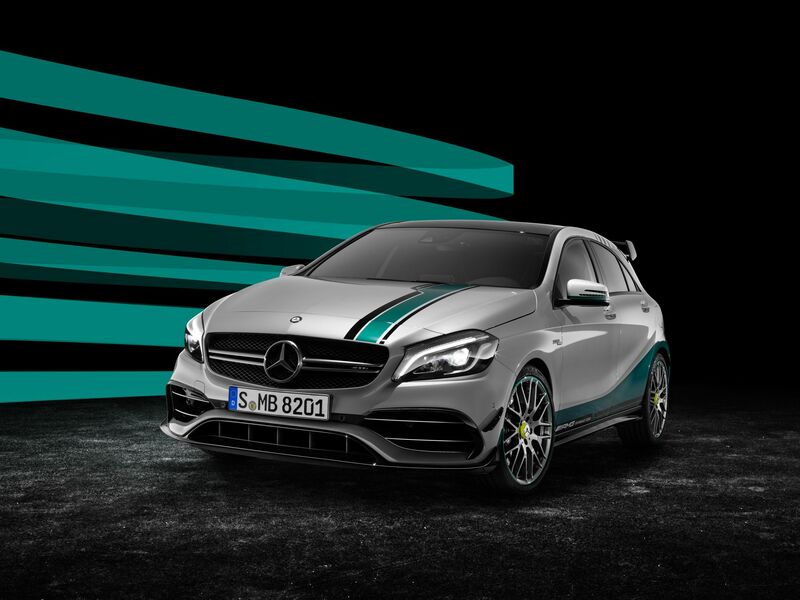 In the rear the two BRABUS exhaust pipes with hallmark design lend the vehicle a sporty appearance. 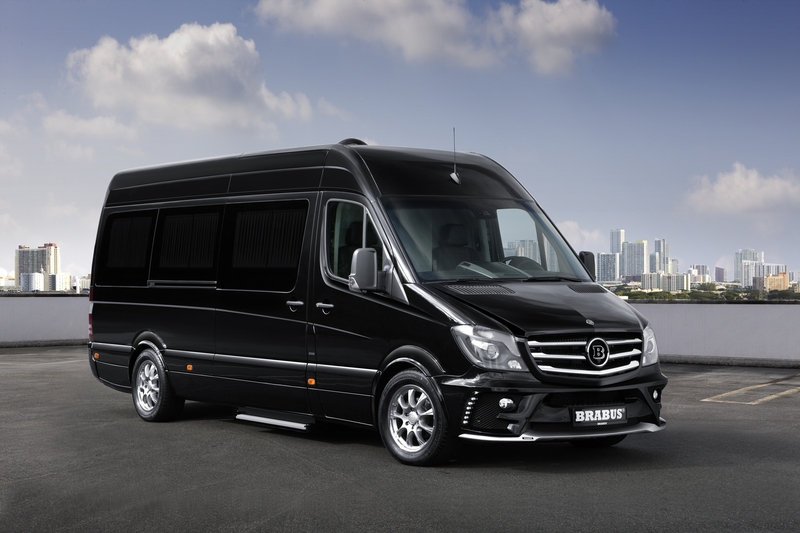 he BRABUS Business Lounge special model based on the Mercedes Sprinter is built to order and available in various versions with four or six seats in the passenger compartment.